Children & Company is a cooperative preschool that was originally founded as Faulkner Ridge Nursery School on August 27, 1971. We are licensed by the Maryland State Department of Education. We encourage participation from families of all cultural backgrounds. Because we are a co-op, we can maintain a low staff to student ratio, with two teachers and a parent always in the classroom. 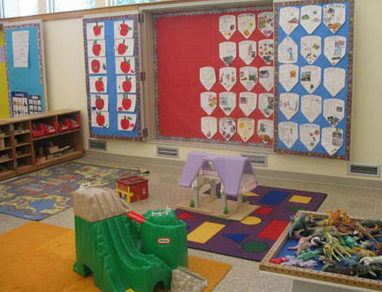 Children & Company was originally established by a group of parents who were not satisfied with other programs offered to preschool aged children. These parents—Jeri Stollman, Lynn Altman, Karol Hess, Pat Latteri, Janice Lordan, and Joseph Marshall—individually and collectively, did much reading, thinking, and discussion about better ways to run a nursery school. They found the philosophy most compatible with their thinking to be the “free school” philosophy as expressed by A.S. Neill in his Summerhill School. They established our nursery school on the basis of a “free school” philosophy of providing children with the space, time, and empowerment for personal exploration. 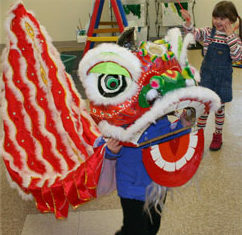 Children & Company offers programs for 2-, 3- and 4-year-olds. 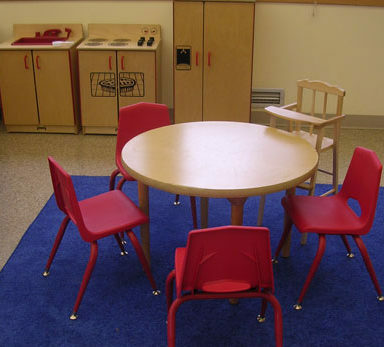 Our educational approach centers on the premise that “children’s play is their work." We believe that children learn more effectively when their activities are self-chosen, self-directed, and connected to their own life experiences. 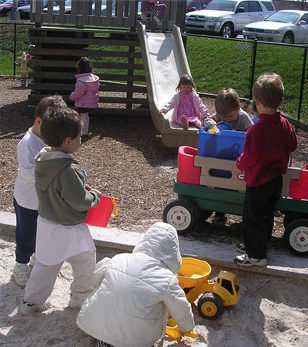 At Children & Company, each child is able to make choices and follow his or her own interests. The atmosphere of free exploration allows each child to develop his/her creative potential. We acknowledge and respect a child’s need for security in his/her environment. A child needs to trust in adults who provide caring guidance with few, but firm limitations. A child needs a sense of belonging, fostered by whole class and small group activities, as well as a predictable routine in the school day. 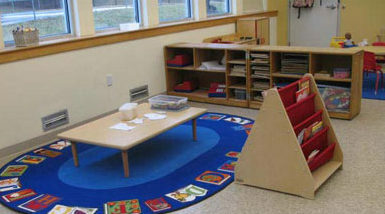 Routine provides a dependable framework within which children will feel comfortable as they play, learn, and explore. 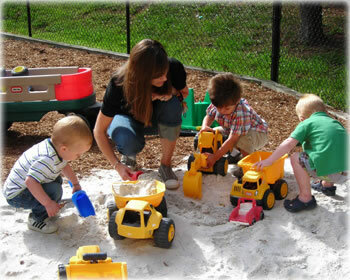 Our preschool is a cooperative run by its members. We believe that children benefit greatly from active parent involvement in their education. Parents also benefit from the opportunity that our school provides for observing their children at "work", building a partnership with the teachers, and learning from their experiences with other parents. 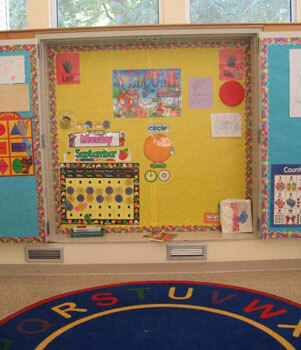 We are fortunate to have a large and inviting classroom space that offers many resources for implementing our curriculum and enhancing our children’s development. I received my BA in English from Dickinson College in 1986. After graduating and making the decision not to pursue journalism, I went back to school to earn my Early Childhood Teaching Certification from RVCC in New Jersey. I have taught both Kindergarten and Preschool, and have also worked as a Program Director, but over the years I have found my “happy place” at Children & Company. Currently, I am a credentialed Level 6+ teacher. My affiliation with Children & Company started in 1995 when I moved to Maryland. My third son had just been born and I was taking some time off from teaching. I found this wonderful cooperative preschool to send my second son, and little did I know what a place this school would have in my life. 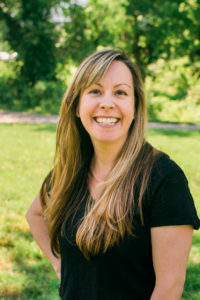 As a parent at Children & Company I was an active member of the school and served on the Board for 5 years while my second, third, and fourth sons were enrolled. In 2001, I was offered a teaching position and have worked at the school ever since except for a brief maternity leave when my fifth son was born. I feel so very lucky to be a part of this wonderful and generous community, and to work together with Ms. Traci and Ms. Tricia. 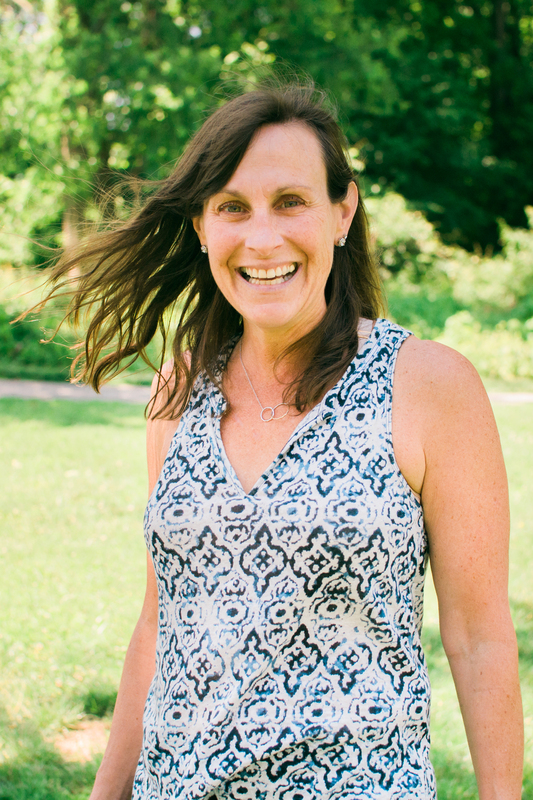 I received a Bachelor’s degree in Biology in 1998 from Gettysburg College and a Master’s degree in Biology in 2000. After graduating, I worked for an environmental consulting firm for about a year before realizing that I was not meant to sit at a desk all day. I was then hired to teach middle school science in Montgomery County, MD, and enjoyed that until I had my first child. While I was staying home with my daughter and son, I ran a home daycare and was able to spend lots of time with young children. Both of my children attended Children & Company for preschool. I immediately fell in love with the philosophy of the school and the sense of community that comes with a co-op. Between my experience with the family daycare and time spent co-oping and substituting at the preschool, I realized that this was the age group I wanted to work with. I earned my 90-hour Child Care Certificate from Howard Community College in 2012. When my youngest child started elementary school, I was fortunate to be hired to teach at Children & Company with the amazing Ms. Wendy and Ms. Tricia! I am currently a credentialed Level 4 teacher. I received a Bachelor's degree in Finance in August 1996 from the University of New Orleans. After my first son was born, I was involved in a group known as Infancy to Independence in Metairie, LA. It was a Mommy and Me group that worked with children ages birth to five years. I realized I had a desire to help children learn during this new stage in my life. 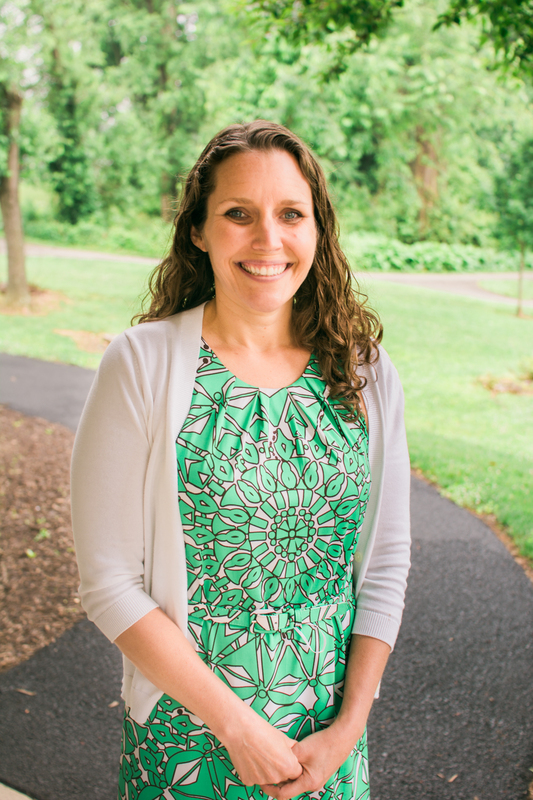 I moved to Columbia, MD in April 2000 and soon after had my second son (one month later!). I enrolled my first son in Children & Company that fall. My second son, attended the 3-year class in August 2003 and I joined him in that class as the assistant teacher. In May 2006, I received a 90-hour Child Care Certification from Howard Community College. I am currently a credentialed teacher at Level 4. I have enjoyed being involved in all three of our classes over the past 14 years. Children & Company has always been a perfect fit for me and my family. I am very thankful to be a part of this special school and to be working with Ms. Traci and Ms. Wendy. Our spacious classroom in the Phelps Luck Community Center provides plenty of room for our school activities. Large windows on two sides of the classroom let in plenty of natural light. We have a kitchen, where snacks are prepared, and a bathroom specially equipped for young children. Our space is decorated with a variety of art projects, showing the creativity and hard work of our children. Children & Company Preschool is licensed by the state of Maryland and guided by the principles of the National Association for the Education of Young Children (NAEYC). Copyright © 2019 Children & Company Cooperative Preschool. Powered by WordPress. Theme: Spacious by ThemeGrill.